2 Prevent discoloration due to oxidation! There are no odor issues. 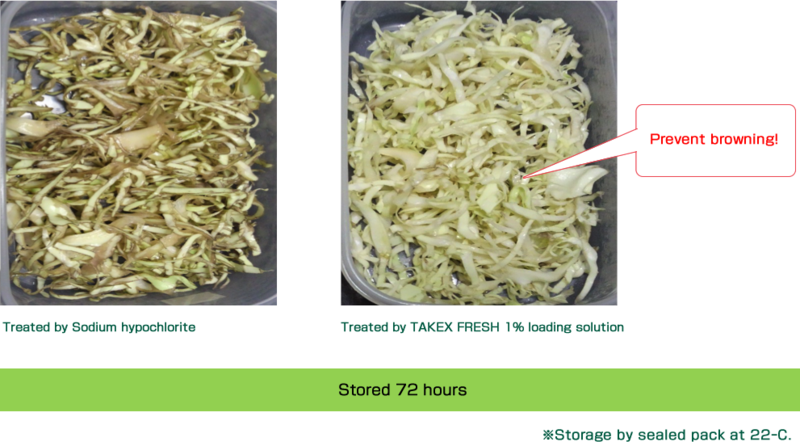 3 Reduction of waste by improving food storage life! Also helps reduce costs! 4 Ingredients are all food additives for safety and security, including natural extracts of bamboo! What is a storage life improvement agent? This agent is used for vegetable and fish products that are relatively less preservable in order to protect from rot and discoloring by a number of days or hours. The effectiveness is less than preservatives so this agent shall be distinguished from them. 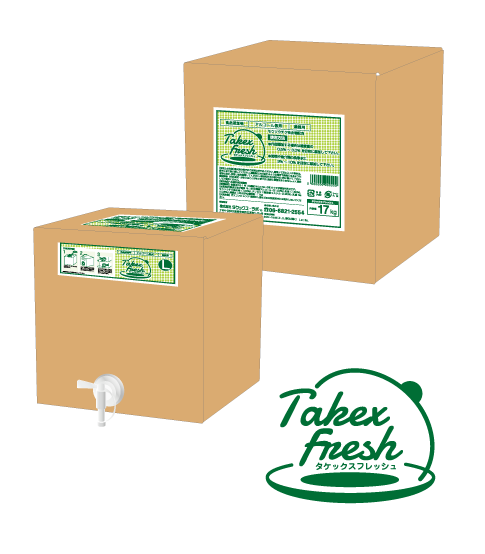 Recently, the demand for this product is increasing with the emphasis on prolonging food storage life. Do not want to use chemical synthesis of food additives, but want to reduce bacteria.